Over the years fashion and make-up trends come and go and I hate to admit it, but due to my age I've seen several come around more than once. However one make-up trend/focus that I'm really pleased to see currently shining in the limelight are the Brows. 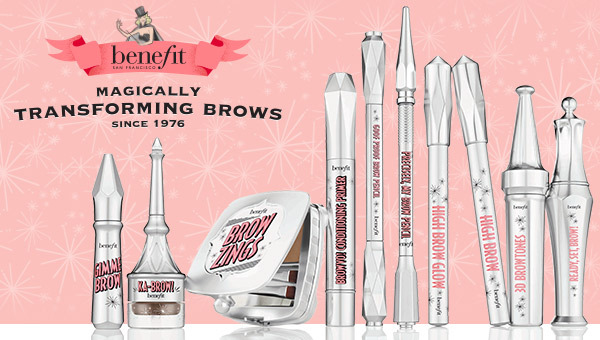 benefit have recently launched a comprehensive range of 45 products available in 6 shades and there is no brow that cannot be teased, filled, defined or tamed, as benefit have really got all "brow bases"
Never being one to worry too much about my eyebrows ,in recent years I have become more aware that with my age the colour of my brow hair has lightened and the odd grey hair has appeared... much to my horror! Also the hairs have become finer and my brow line is not as full as it use to be and all of the above led me to buy an Estée Lauder brow kit, to just create some definition and colour. I was perfectly happy until benefit sent me four of the new products to try. 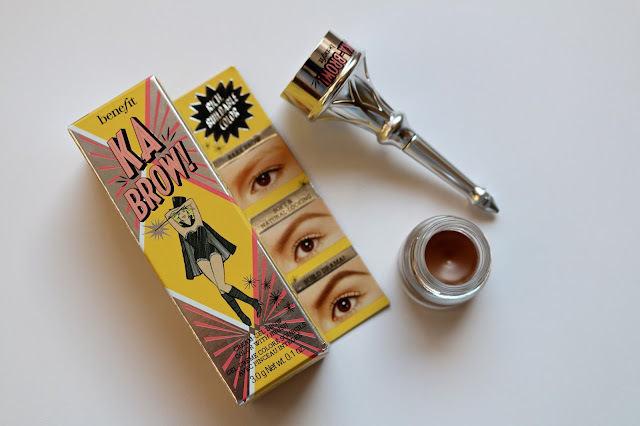 I was excited, yet somewhat apprehensive as to how to use or what the products were designed to do, as these products are very clever and sometimes not what they seem and that's what I love about benefit. I do recommend popping along to your nearest benefit counter for a demonstration and some really good advice. they are pretty easy to understand and apply. KA BROW is perhaps my least fave of the 4 products, but this Brush on rich, build able colour I'm sure will be an absolute hit with many. This all-in-one eyebrow cream-gel easily fills, sculpts and defines brows. Plus the built-in hard-angled brush magically converts into a clever full-size brush for precise control & effortless application! 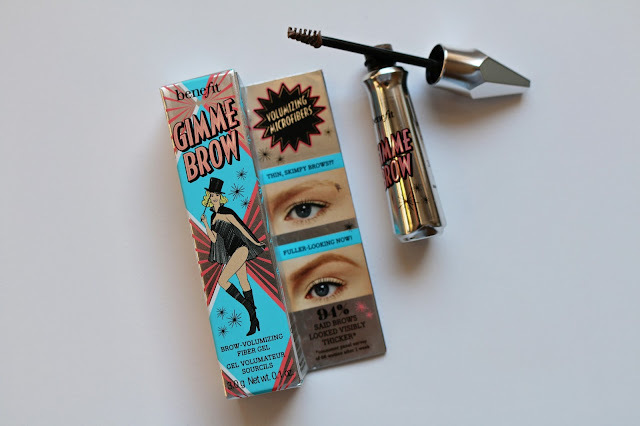 GIMME BROW I was again unsure of how to use this product, but its a really quick and easy to use tinted eyebrow gel that contains tiny microfibers that adhere to skin & hairs, creating natural-looking fullness and definition. The custom, tiny tapered brush blends easily while the precision tip shapes hairs into place. I have been using this daily and I love it! BROWVO! is a nutrient-rich conditioning eyebrow primer and on first reading about this product I was convinced that this was a little gimmicky, but its turned out to be one of my favourtites, as despite cleansing over the eyebrows daily we never really use a specialised product to condition that area. Worn alone it both conditions & smooths the brows. Worn as a primer it enhances & extends the wear of other brow products. This conditioning formula contains keratin & soy proteins known to help brows look thicker, healthier and fuller, but I will have to revert back to you with regards to the latter claim in a "follow up" post. 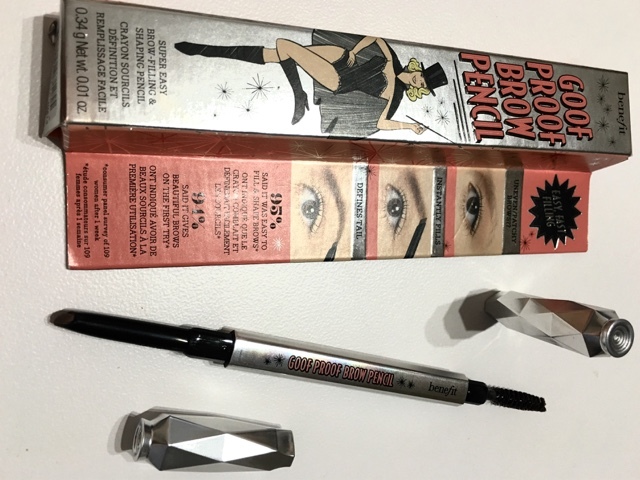 GOOF PROOF EYEBROW PENCIL is a super easy filling & shaping eyebrow pencil. 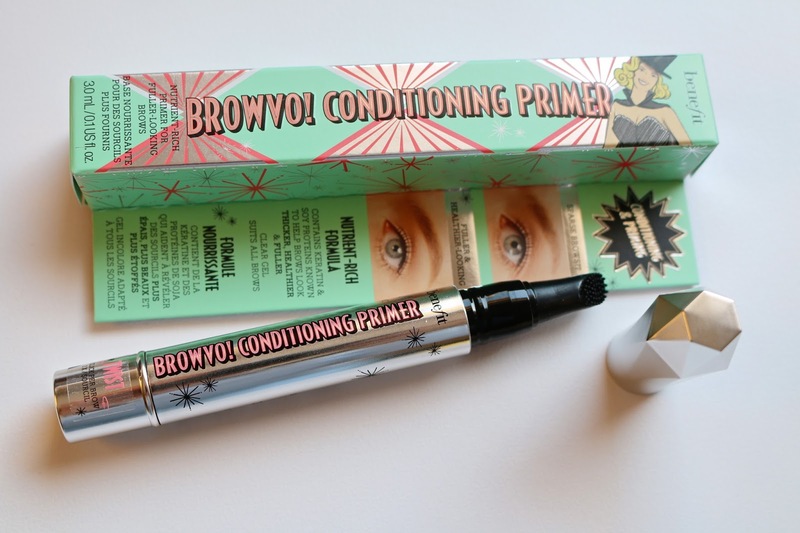 It features a custom, non-sharpen “goof-proof” tip, soft color and a glide-on formula for easy & fast brow filling. I have been surprisingly happy with the products that I have tried and I've even earmarked a couple more that I would like to give a "Brow Whirl". 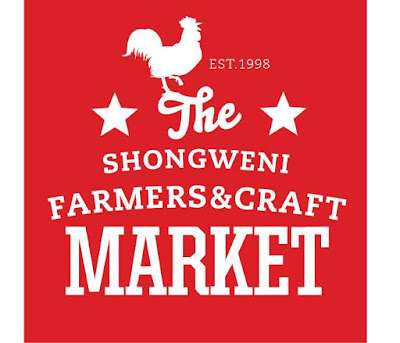 "2016 is all about the benefit brows"
The Shongweni Farmers Market is held every Saturday from 6.30am - 11.30am and was started back in 1998. Initially just 12 stalls selling food and fresh produce, it was located on a field belonging to the Shongweni Polo Club which is in the far outer west region of Durban. From humble beginnings the market grew rapidly, attracting stall holders and customers from far and wide initially starting with 12 stalls and now has more than 150 of which over 80 are food and fresh produce related. 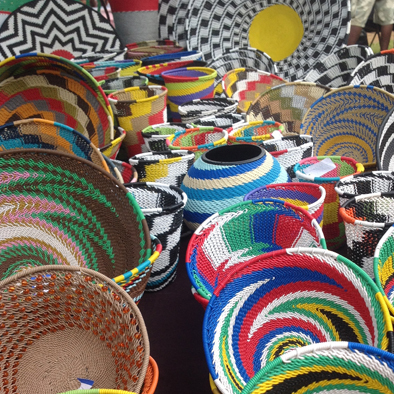 Others are selling a variety of proudly South Africa home industry arts and crafts, too numerous to mention. 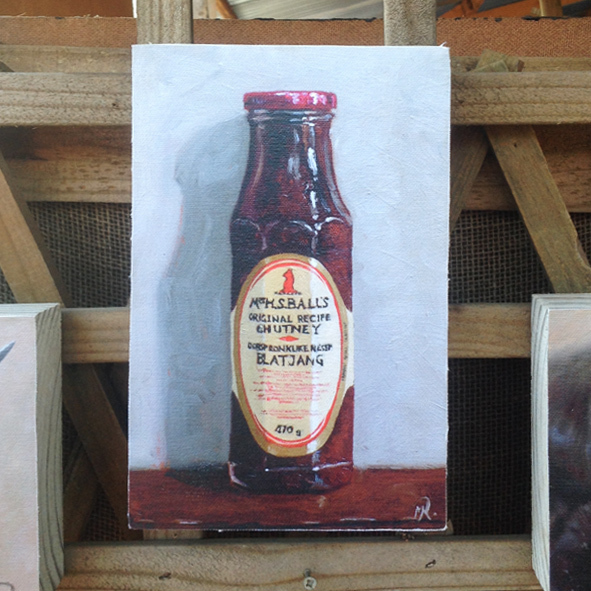 I hang my head in shame whilst I write this post as despite being relatively local and having been advised to pay the market a visit on numerous occasions... I finally made the trek up the highway and went to have a look for myself. Shongweni is also a doggie friendly market and the pooches are well catered for and made to feel very welcome, as are the kids. 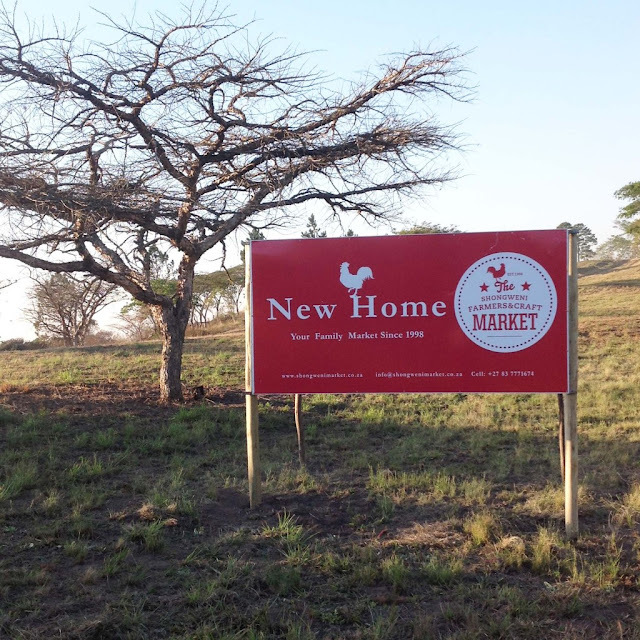 This market is by far the best in KZN and is truly a family market and I can't wait to return. 1. Its advisable to arrive as early as possible armed with a shopping basket. 4. Allow plenty of time to leisurely browse, as the market is far larger than I anticipated. 5. Go with an empty tummy as you really are spoilt for choice when it comes to food and drink whether it's for breakfast, tea time snack or brunch. 6. Take a cooler box in the boot of the car, so you can keep those take away food/drink purchases chilled. 7. Take plenty of money either in the form of cash or credit cards, as you will be tempted by all the goodies on sale. 8. Don't worry about the safety of parking the car as the parking is well organised and very close to the market. 9. Also if it rains shopping can continue as all of the stalls are under cover. 10. Lastly enjoy this lovely market that oozes charm, ambiance and friendliness. 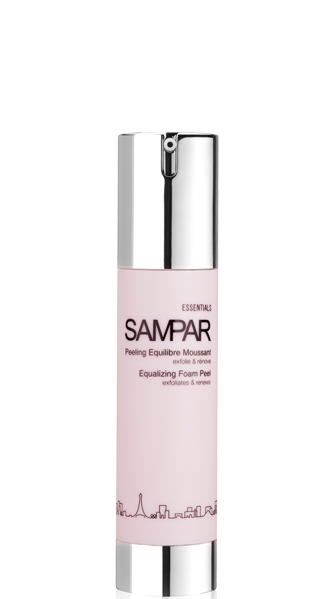 For this past week I have been using a sample of the Sampar Equalizing Foam Peel. I managed to use it twice and it's suitable for all skin types and is paraben and colourant free. As with many exfoliators on the market this product claims to gently exfoliate the epidermal layer to remove unhealthy, dead skin cells and to stimulate new cell growth to eliminate fine lines and wrinkles and expose a smoother more luminous complexion. This 3-in-1 product is applied to a cleansed skin like a mask, purifies like a peel and once you add the water it rinses off like a cleanser. The product is applied all over the face and neck (avoid the eye area) as a clear, slightly runny gel and has a great Spa like fragrance. It remains tacky on the skin and you leave for 2 minutes before it turns into a foamy creamy emulsion once you add water and rinses off really easily. I personally didn't notice any obvious changes to me skin, so I decided to do my tried and trusted "apply to the back of one hand and not the other" test to get a more visual difference between the two hands. Exfoliation is something that I have been doing weekly since I was in my early twenties and its a crucial step in my beauty regime and personally I think that there are better exfoliators/peels out there and at a lower price. Having said this if you are a SAMPAR lover and user then this will no doubt work in synergy with those products and perhaps better results will be seen. so click on the link below to read more. 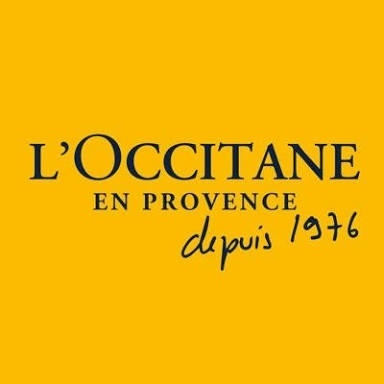 I wonder if back then the founder of L'Occitane, Olivier Baussan, could ever have envisaged the outcome of his passion for his native Provence, love of plants and his desire to create wonderful products that were authentic, traceable and respected both the environment and people. With nothing but an alambic, a small truck and a solid knowledge of plants this young man of 23, set out to sell his distilled Rosemary essential oil on the local markets of Provence in Southern France. Lavender is a fragrant iconic symbol of Provence and is renowned worldwide for its highest quality, especially that grown in the Haute Provence region and this seemed the most obvious choice for his next essential oil and today it's still a core ingredient in many of the L'OCCITANE ranges and products. 40 years later and as they say "the rest is history" and L'OCCITANE is now available in every corner of the world for everyone to enjoy. To celebrate its 40th anniversary, L'OCCITANE is celebrating Provence, the land of its birth, through a limited-edition collection based around its most famous flower. The packaging features a new design, inspired by fields of lavender seen from the sky, which trace diagonal lines across the plateaus of Haute-Provence, filling them with colour. It's a rich, delicate foam bath containing Lavender Essential Oil with a captivating lavender scent and more importantly voluminous long lasting bubbles. 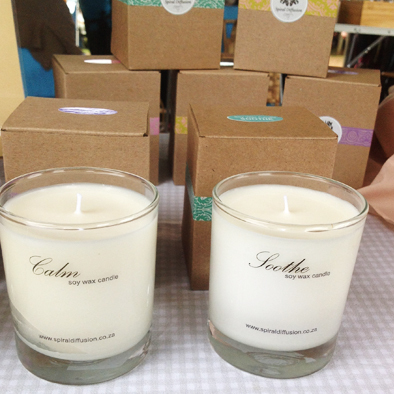 The aroma lets your mind escape to Provence as you breathe in its fragrance and enjoy a soothing moment of relaxation. It leaves your skin feeling supple and fragranced with the delicate scent of lavender. 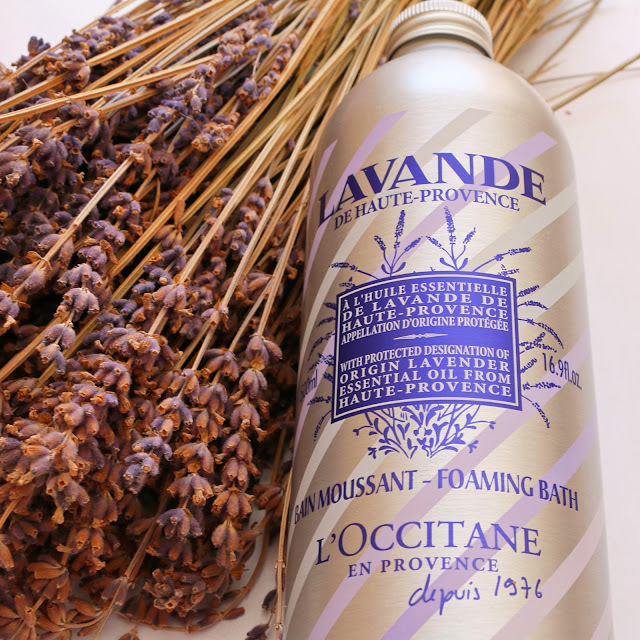 If you love your bubbles and enjoy the whole relaxing bathing experience then I cannot recommend a more beautiful relaxing product and maybe the 40th anniversary is a perfect time to treat yourself to a little bit of Provence. If you follow me regularly on my blog and other social media platforms you will already know that L'OCCITANE is my one of my favourite brands and if you just type in the word L'OCCITANE in the "search for my Shout words" on the side bar, so many L'OCCITANE reviews will pop up and if there are any reviews that you would like me to review in the future, then just leave me a comment below. My sample jar is literally overflowing and I really need to have a good clear out of some and get writing reviews on some of the others. SAMPAR - Equalising Foam Peel. I'm a huge believer of including a weekly exfoliating product into you beauty regime, as the instant results can make such a difference to your skin. so after giving this sample a try over the next week my thoughts and opinions will be up on my blog on Sunday. I posted a review on the SAMPAR Lavish Dream Cream recently, so if you would like to pop over to my blog to read my review click on the link below. Confession time...My one and only product that I have tried from the French face and body care brand SAMPAR was frankly a disaster. A fellow blogger passed on the SAMPAR Crazy Cream for me to try and as it's name suggests it was CRAZY and I didn't understand the concept or enjoy the product.At that time I decided not to post a review on my blog, but now I need to make mention of my previous experience in order to give you a back story for this review. As with most disappointing product experiences it always leaves you feeling somewhat let down and sceptical about trying anything again from that particular brand and even more so if it's your first encounter with the brand, which mine was. "don't write off a brand because of one fail". 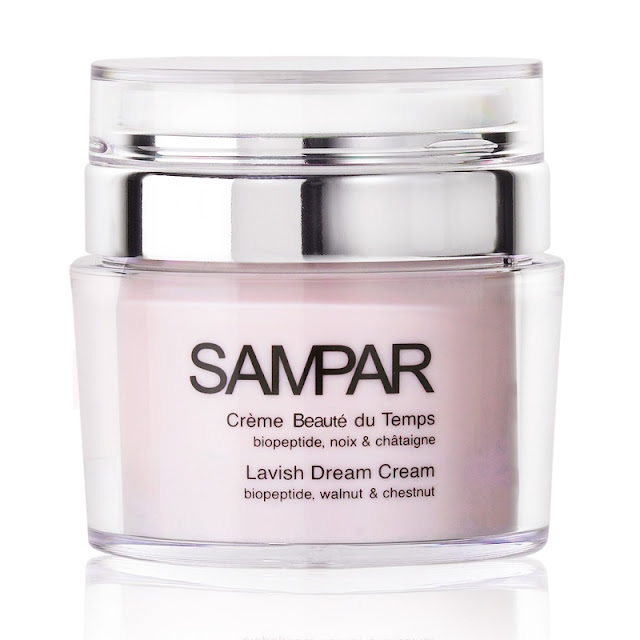 I actually won this SAMPAR Lavish Dream Cream some months ago, which was exciting as I don't have much success with winning competitions however this rich day and night anti-aging cream especially suited for over 35 years of age sounded perfect for "moi". Straight away it sounds luxurious, rich and dreamy and that's exactly what this cream is. It's rich but not heavy, as it has a light souffle texture and with its delicate soft fragrance it truly is a dream to use. 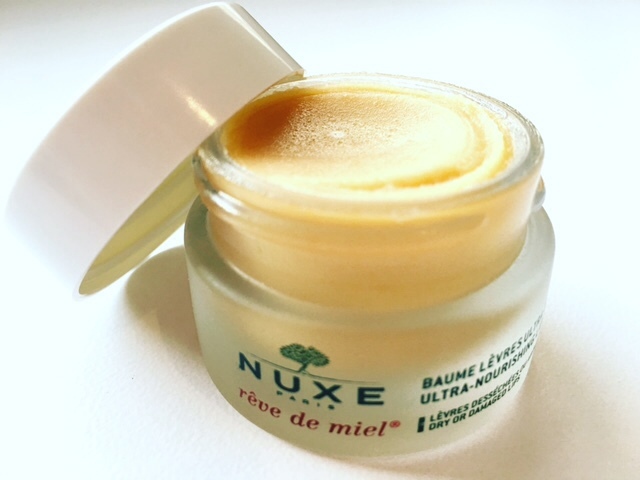 This luscious cream not only hydrates, protects and nourishes the skin, but leaves it feeling rested and renewed. contains the following collection of active complexes and ingredients, some are familiar to me and some are not. The groundbreaking Urban Advance complex is exclusive to SAMPAR and this could be why my skin has responded so positively to this cream. - Peptides minimise the depth and length of wrinkles by encouraging cellular renewal. - Walnut extract jumpstarts cellular activity, resulting in immediate tightening, improves skin elasticity and targets wrinkles at their foundation. - Shea butter hydrates and nourishes epidermal cells. - Urban Advance Complex, a powerful alliance of 3 active ingredients (shea butter serum, mint endorphin and probiotic sugar), acts as an anti-oxidant shield, neutralising any cutaneous imbalances linked to pollution, strengthens the skin’s natural defenses and shocks the skin back to life on a cellular level. Apply SAMPAR Lavish Dream Cream in the morning and/or evening on perfectly cleansed face and neck. The Lavish Dream Cream comes in a 100% airless container, which allows the product to remain the same from start to finish, as no contaminants can enter the jar. Once I had gotten to grips with the amount of pressure to apply equally on both sides of the dispenser it allowed me to release the perfect amount of product hygienically. I loved the packaging and I wish more skincare companies would adopt this airless system. Not having any high hopes for this cream from the onset, I was certainly proven wrong. This is the Rolls Royce of anti ageing products from SAMPAR and a jar will set you back R1,130 so it's up there in terms of price. but after using both day and night for nearly 3 months,I was super impressed, as I consider my skin to be in a really good condition for my age. 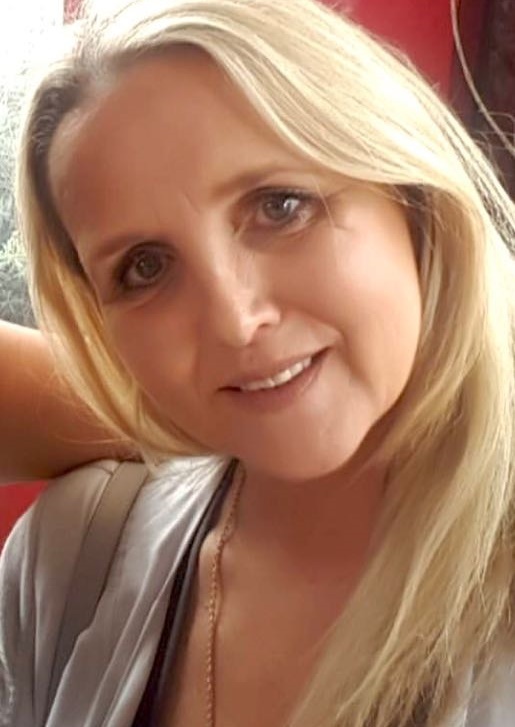 I not only loved the way the product made my skin feel,as in comfort and nourishment, but I noticed my skin was more radiant and there has been a degree of softening of my deeper lines and wrinkles. if all the hype is justified. I also have a slight fetish for lip balms and this will just add to my current collection perfectly. this best-selling lip balm with Honey and precious oils is highly concentrated in ingredients that nourish, repair, soothe and protect even the driest and most damaged lips. It's Paraben free and contains at least 78% natural ingredients. (Honey, Sunflower, Musk Rose and Almond oils, Shea Butter and Grapefruit essence). It has a unique texture as it immediately provides a comforting barrier on the skin without having a overly greasy feel and it also has a pleasant, subtle taste of refreshing grapefruit and feels like no other lip balm that I have ever tried. This little 15 ml "pot of pleasure" lasts for such along time and has to be one one of the best value products on the market for R195. It's really worthy of all the "hype" and most deserving of all of its awards.